With colours in the air and excitement all around, Holi is probably the most awaited and widely celebrated festival in the country. This festival of colours is extravagantly celebrated by the entire country with a lot of enthusiasm. In different parts of the country, Holi is celebrated in their own unique and interesting way. 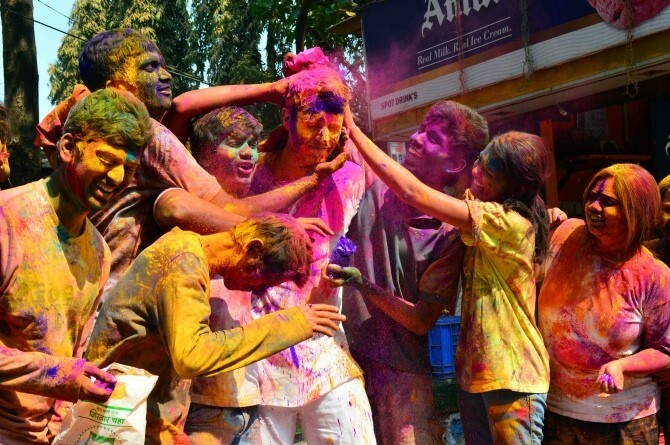 Keep reading to find a list of unique places to celebrate Holi in India. Imagine visiting a village where women are absolutely ready to beat men with sticks; and all that the men have is a shield to defend themselves. Sounds weird right? 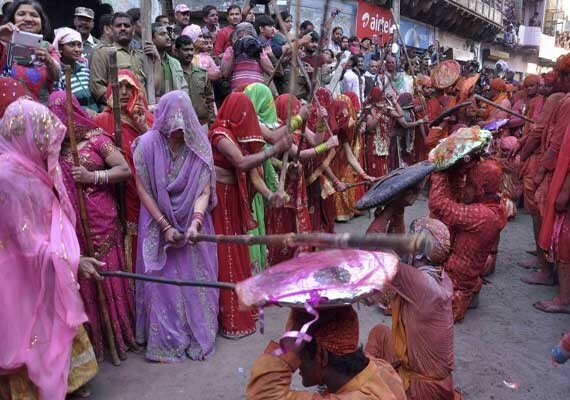 Well, that’s just the way of celebrating Holi in Barsana, Uttar Pradesh. Women in this village make the most of this tradition, which is followed by the customary celebration with colours. This is truly one of the most interesting ways to celebrate Holi in India. 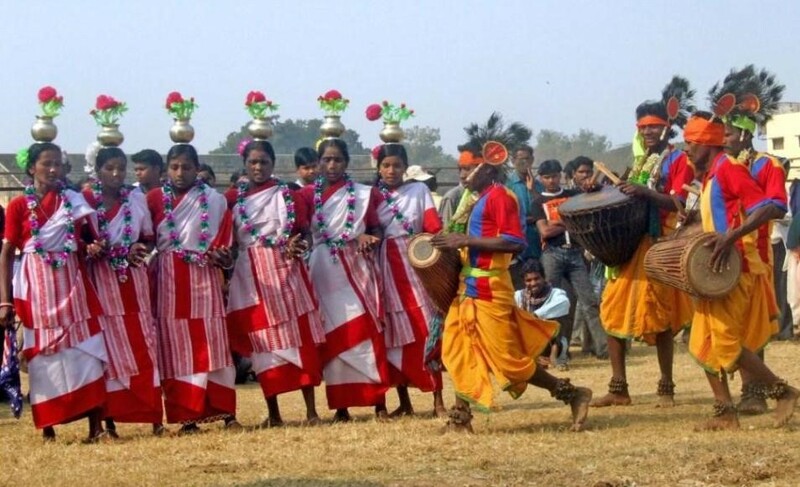 For a spectacular amalgamation of folk dance, music, art and colours, head to the village of Purulia in West Bengal, 3 days before Holi. The festivities here are a stark opposite of the regular DJ music and celebrations that you see in most cities. Celebrations in Anandpur Sahib, Punjab involve fewer colours and a lot of physical activity. The locals celebrate the festival with a brilliant display of martial arts and feats of physical agility. This unique way to celebrate Holi in India was introduced more than 3 centuries ago by Guru Gobind Singh and includes events such as wrestling, mock sword fights, acrobatic military exercises and even turban tying competitions. While you may not be able to participate in these events, watching the participants in action is truly a visual treat. If you want to be a part of some of the most extravagant parties in the country, head to the capital. If you plan to visit Delhi this Holi, do ensure your Delhi tour package includes an entry into the ‘Holi Cow Festival’ – where you will be surrounded by revellers just like you. If private parties aren’t your style, you can always celebrate Holi on the streets where everyone would be covered in colour from head to toe. To witness a royal Holi celebration that involves a beautiful procession led by bedazzled horses and the Mewar Royal Family, head to Udaipur. The procession makes its way from the royal residence all the way to Manek Chowk a day before Holi where the traditional sacred fire Holika is lit. Colours come into play the next day with glorious fanfare and the whole city participating with enthusiasm. No matter how old you are, Mumbai is a city in which you will definitely be bathed in every imaginable colour during Holi. Irrespective of where you are in the city, you will definitely be greeted with colourful streets and upbeat music. What sets Mumbai aside is the fact that even though the city has changed over the years, the methods of having a good time have remained the same; giving you the ultimate holi experience all over the city. Jaipur takes celebrating Holi one step forward by including elephants in the festivities. Definitely a sight to see, the elephants are decorated with vibrant colours and garments. The celebrations also include an elephant beauty contest, parade and tug-of-war. 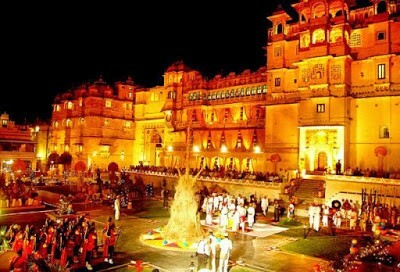 With Jaipur’s tourism flourishing, this event has become quite popular over the past few years. If you love celebrating Holi in India, do plan a trip to either one of these cities and you will undoubtedly have an amazing time. 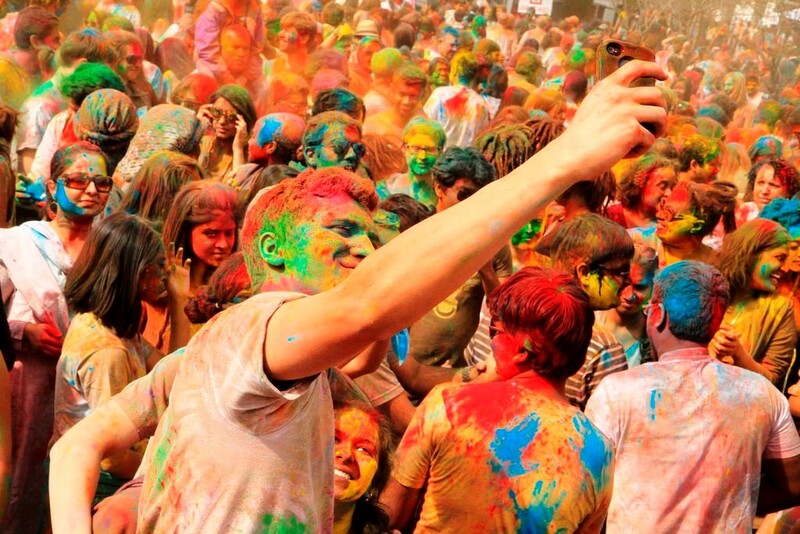 Let us know which other cities in India celebrate Holi in a unique and fun way. Love to celebrate Holi in India? then do plan a trip to one of these cities and you will undoubtedly have an amazing time.